The VIA Bravo MRI & MRI II are Network Analyzers that accurately measure impedances from 2 to 2000 Ohms, resistance, phase angle, X, Q, return loss, and SWR. Both Bravos can simultaneously provide graphical display for any two measurement parameters. The frequency sweep is plotted in the X axis and independent left and right Y axis scales are user selectable. The Bravo’s portability and ability to function in close proximity to magnetic fields make it the ideal test instrument for installing and servicing MRI systems. 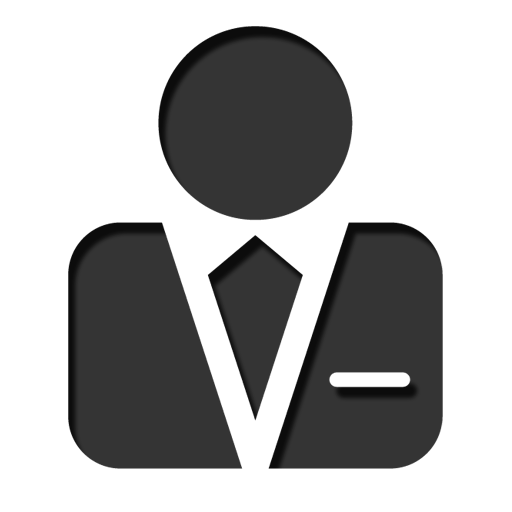 Additionally, our Bravo products come with Bravo PC Vision™ software. This software permits remote control operation of the Bravo MRI or MRI II to upload test results to a PC or laptop, view the VIA or Smith Charts in full color, tore and print complete analyzer documentation. While the Bravo’s LCD can support displaying two parameters, PC Vision can display one or all the testing parameters at once. The Bravo MRI or MRI II will save time, reduce capital expenditures, and reduce costs typically associated with the installation and servicing of MRI Systems. 13.8 to 18 VDC @ 400mA Min. The VIA Bravo is a handheld Vector Impedance Analyzer for measuring the impedance and resonant frequencies of circuits and antennas. 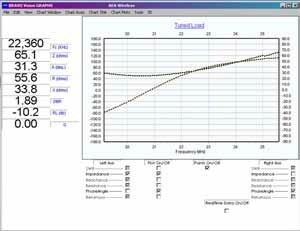 The VIA Bravo has the capability of providing accurate measurements and sweep displays of impedance, reactance, resistance, phase angle, return loss and SWR. The VIA Bravo’s testing functionality, combined with its 100 kHz to 200 MHz frequency range, make it a versatile tool for many service applications including areas such as MRI, wireless telemetry, 2-way radio, aviation, and Radio Frequency Identification (RFID). 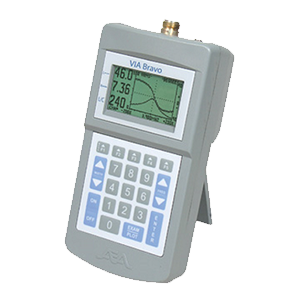 The VIA Bravo Analyzer comes in three versions with the capability of simultaneously displaying two separate measurement graphs and the respective scales. The versions include the standard S11 port Bravo model, the S11 and S21 ports Bravo II model, and the Bravo II XF (eXtra Fine frequency resolution) model. The Bravo PC Vision Software application, included with the VIA Bravo, provides the user with the capability of remotely operating the VIA Bravo through a serial port connection while viewing real time results on a PC. A Smith Chart display of the measured circuit impedances is also available. 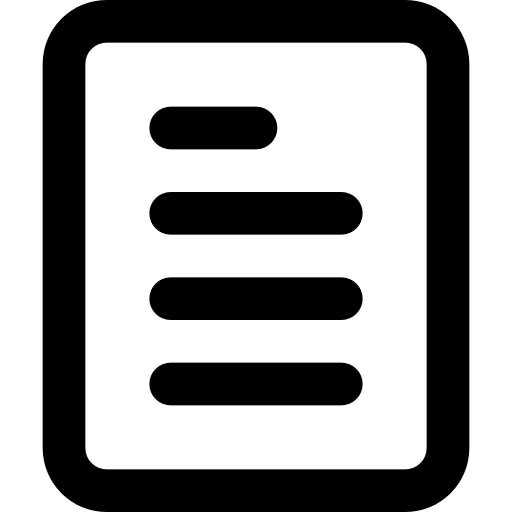 The PC Vision Software makes the capture, storage, and printing of documentation and reports easy. The VIA Bravo has proven to save time, improve on reliability and quality, and reduce service wait time.